Kathryn is also an experienced, U.C. Berkeley-certified mediator of business disputes. 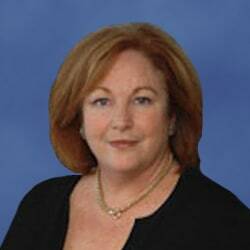 She serves as a mediator and arbitrator for the Santa Clara County Bar Association Fee Arbitration Panel and as a mediator for the Northern District of California Bankruptcy Dispute Resolution Program. Kathryn joined Silicon Valley Law Group in 2000. She has prior experience in business management and marketing and brings her business acumen and understanding of risk analysis to her law practice. Represented client in shareholder dispute over corporate control of company, obtaining injunction that removed director and put control of corporate affairs in hands of client. Obtained summary judgment for retail franchise client in defense of racial discrimination wrongful termination case. Defeated preliminary injunction against medical services client in misappropriation of trade secret case. Negotiated purchase and sale agreement for transportation company assets from freight company in bankruptcy. Ousted managing member of commercial real estate limited liability company for breach of fiduciary duties including misappropriation of company assets. Successfully negotiated and resolved claims against guarantors of commercial real property loans. Defended technology company client and prevailed in employment claims for commissions. Defeated trustee preference claims in commercial real estate transaction. Prosecuted and prevailed in commercial unlawful detainer matter. Successfully defended age discrimination action for medical device company. Handled negotiations and resolutions of commercial real estate lease commission disputes. Represented corporate partner in dispute over partnership interest in commercial real property in bankruptcy adversary proceeding. Obtained non-dischargability judgment for fraud in bankruptcy court. Obtained summary judgment in defense of defamation action on behalf of online services company. Defeated TRO and obtained dismissal and attorney’s fees award in defense of misappropriation of trade secrets case. Handled numerous wrongful termination cases including age discrimination, race discrimination, breach of employment contract, sexual harassment, and termination in violation of public policy. Defended and negotiated resolution of commercial dispute under United Nations Convention for the International Sale of Goods (CISG). Handled numerous wage claims on behalf of company clients. Handled numerous breach of contract claims on behalf of corporate, financial, and real estate clients. Certification as a Mediator, University of California, Berkeley. U.S. District Court, Northern, Eastern, Central and Southern Districts of California.